Endurance has once again completed and passed the VPA’s certification process in adherence to the direct-to-consumer vehicle service contract industry standards of conduct and compliance with federal and state laws. We are thrilled that Endurance has once again passed the VPA’s rigorous certification process and look forward to continue to reign as the premier and trusted provider of extended vehicle protection in the industry. Coming off a win at the American Business Awards for Best Customer Service Department of the Year in June and a recent nomination for Best Website of the Year from the Golden Bridge awards, Endurance has received its re-certification from the Vehicle Protection Association. Needless to say, it’s been a whirlwind summer for Endurance. 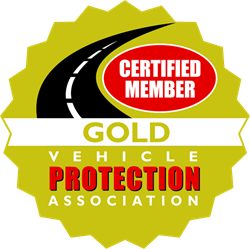 The Vehicle Protection Association announced that Endurance Vehicle Protection has passed the re-certification process in order to receive their gold-certified status with the VPA. Only eleven companies in the industry, including Endurance, have reached this milestone. Furthermore, Endurance is the only vehicle service contract provider in the country that is both gold-certified by the VPA and A+ rated by the Better Business Bureau. The VPA, an association formed to regulate companies and educate consumers on the best business practices industry-wide, prides itself on ensuring consumers are aware of industry safeguards in place and the various resources that are available to them through the organization before purchasing any vehicle service contract. Each company seeking certification from the VPA must comply with all rules and regulations in order to achieve gold certification status. Companies must undergo a stringent certification process orchestrated by the VPA and must participate in a lengthy and comprehensive audit by third-party legal auditors. This team of independent attorneys consists of former assistant Attorney General members who examine companies closely to ensure that they are following state and federal laws, as well as the VPA’s own Standards of Conduct. Endurance’s gold-certified status will remain until 2017, when the company is again up for re-certification. It is the Endurance motto to “Empower Confidence for the Road Ahead”, and by again accomplishing their gold-certification from the VPA they continue to empower consumers with confidence in their product. Founded in 2006, Endurance Warranty Services LLC strives to be the most customer-driven company in the industry and believes that protecting consumers from exorbitant repair bills is the key to their success. Endurance is the only company industry-wide that is both A+ rated by the Better Business Bureau and Gold-Certified by the Vehicle Protection Association. By delivering world-class customer service to every customer, current or future, Endurance continues to reign as the premier provider of vehicle protection in the nation. Visit us online at http://www.EnduranceWarranty.com. The Vehicle Protection Association (VPA) is a not-for-profit trade association representing firms that are active in the automotive service contract industry. Members include service contract finance companies, marketers, administrators, insurers, and software providers. VPA currently has more than 50 members. The organization is committed to ensuring regulatory compliance among members, educating consumers on their rights, protecting consumers, and otherwise ensuring the integrity of the automotive service contract industry. For more information, visit http://www.vpanet.org.